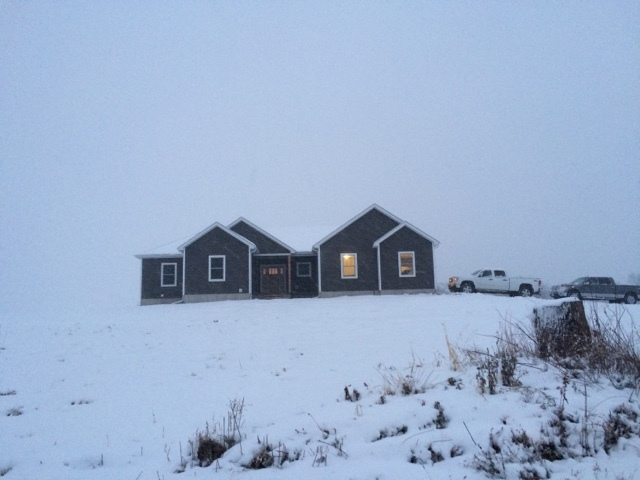 First snow at the new house! It was getting dark, but you can tell it covered the ground! Let it snow! I am heading off to a craft party!